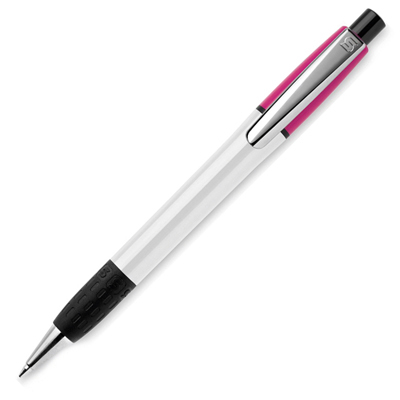 Description: SEMYR GRIP COLOUR PUSH BUTTON PLASTIC BALL PEN. Solid White Barrel, coloured upper, metal nose cone and clip. Black Ink Refills.